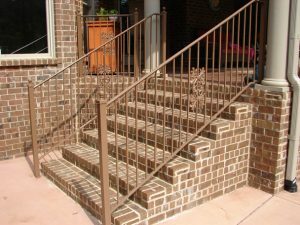 Iron railings and handrails are strong, durable, and long-lasting. They will last outdoors for years. 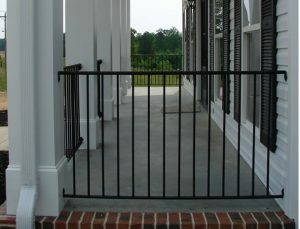 We build our own railings and fit them to any space demands. Our railings meet or exceed safety regulations. 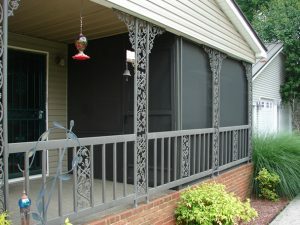 Our railings come in a wide range of colors to accent your application. Here the typical black color is used to accent the white pillars of the new home. 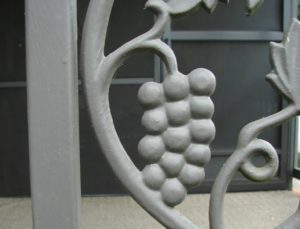 Accent designs can be added to our railings, gates, and fences to give a more artistic look. 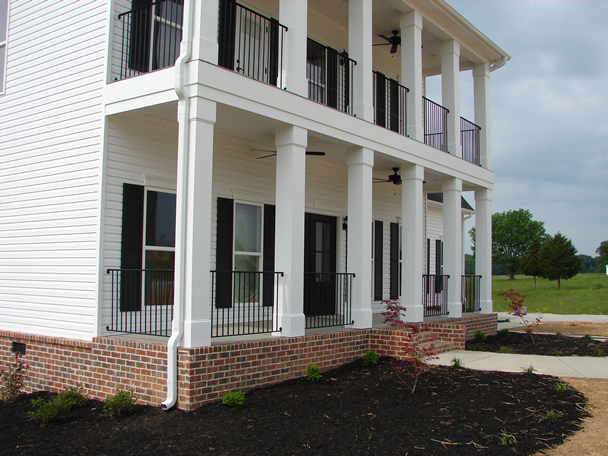 For local installations, we can attach our iron railings and hand rails to most any building/foundation surface including concrete, block, wood, and brick. Special situations demand special solutions. We can build railings and supports so that they go together to meet your requirements. Notice in this photo the supports that extend from the base to the ceiling of the porch.